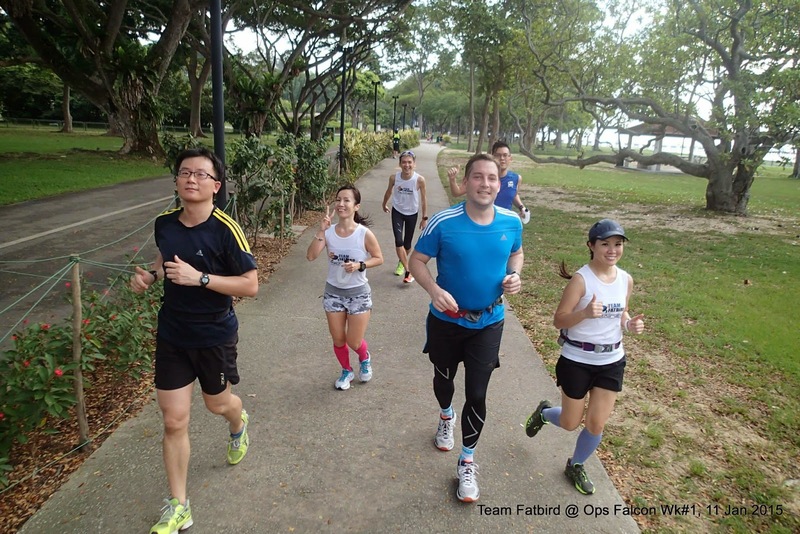 It was a cool morning at Weekend #4 of Operation Falcon, just the right climate for our basebuild workout comprising of a menu of 800m Park Intervals sandwiched by a 5km pre and 5-10km post workout basebuild runs. 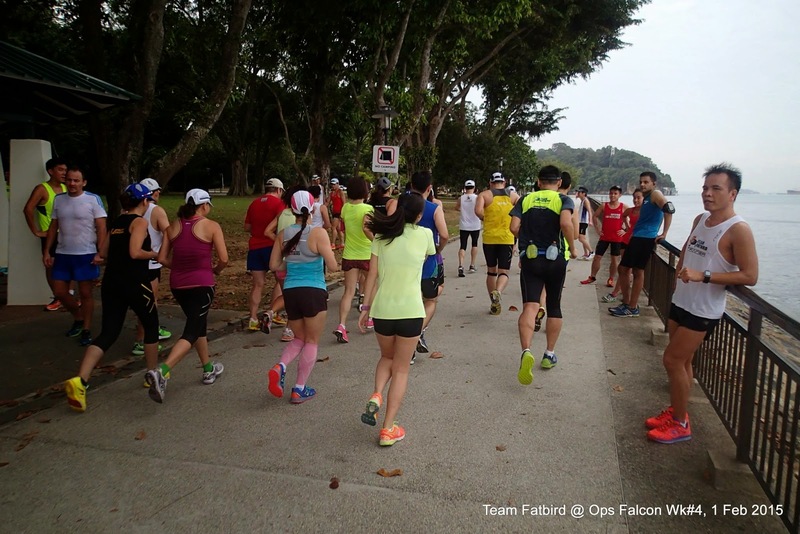 The turnout was good at SAFRA MF with a few new runners joining us for the first time. 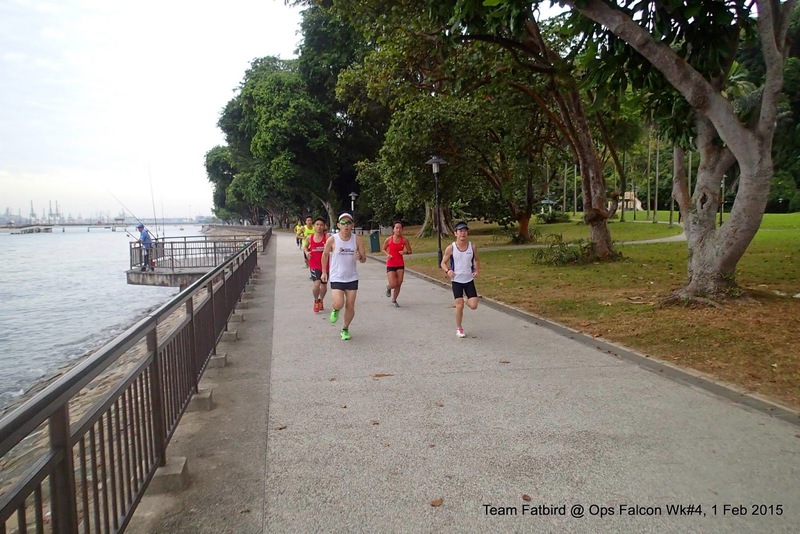 After a quick training brief, the respective pace groups proceeded at their own paces towards Labrador Park, taking the Depot Rd, Alexandra Rd, Labrador Park Rd approach. 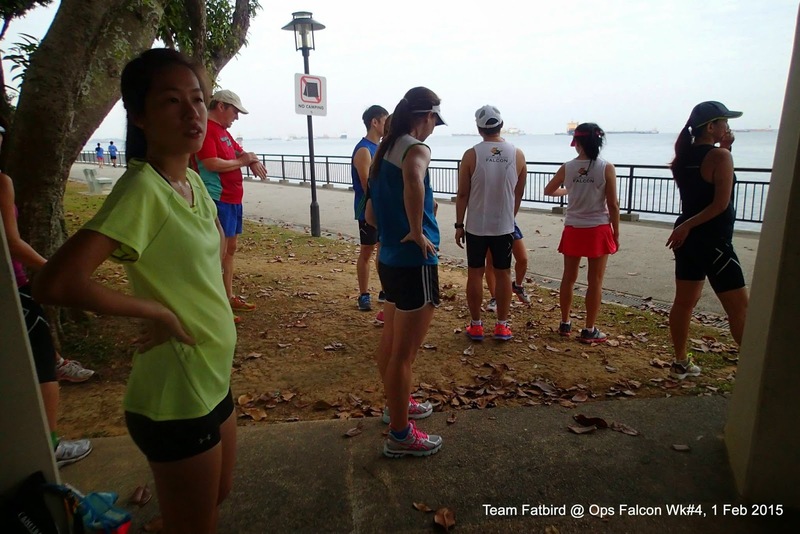 Once at Labrador Park, the various Groups 1-4 were briefed on their interval requirements and respective work:rest ratios. 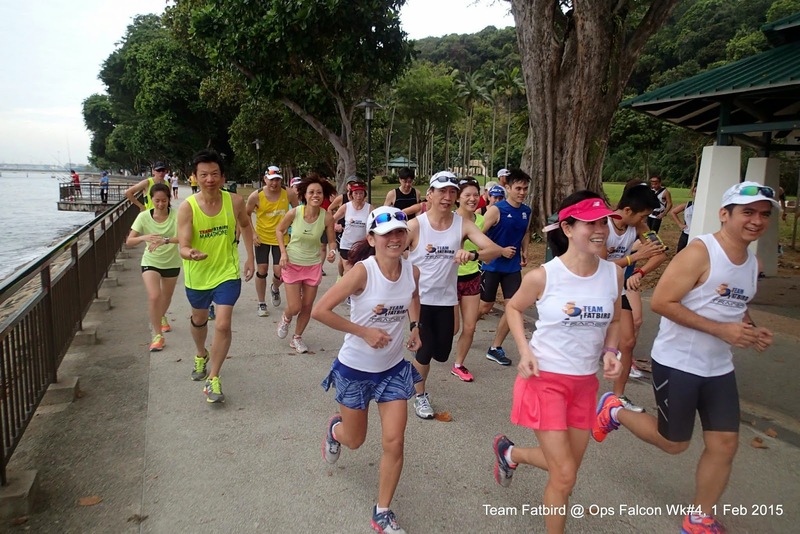 One at a time, the groups were flagged off to do their 4-6 800m interval sets, led by their dependable Falcon trainers. Most of the groups started out too fast for their first lap, but soon settled in after 2-3 laps as they found the correct rhythm and effort for better management of target interval pace. 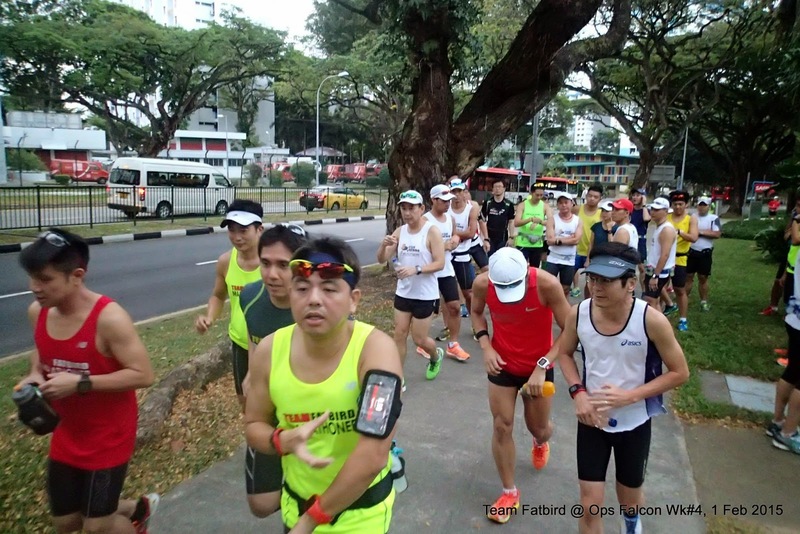 The runners were taxed not only on their required paces in Zone 4 effort, but were also given just sufficient rest time for them to recover before their next sets. 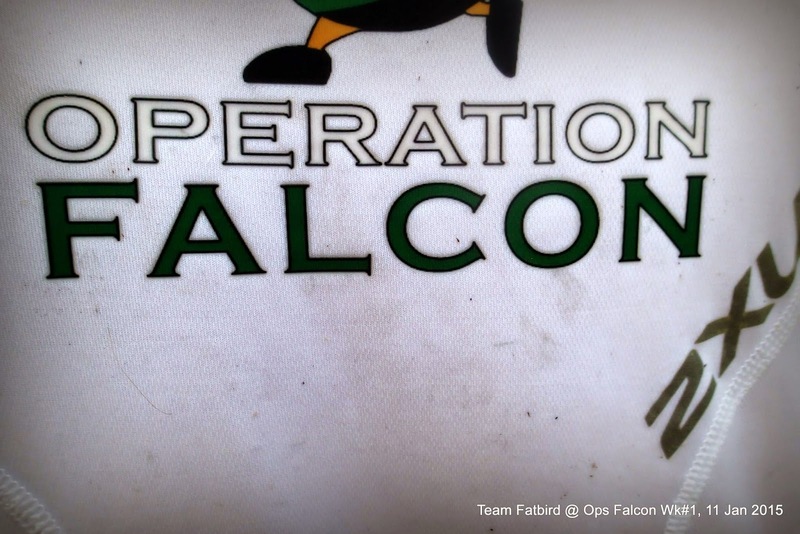 Once the initial apprehension was over, the Falcon trainees soon settled into the interval training and were enjoying the hard work, especially with motivation and encouragement from group members and also inter group. Before long, all had completed their required number of sets at target paces, with a few adding on 1-2 sets for good measure. 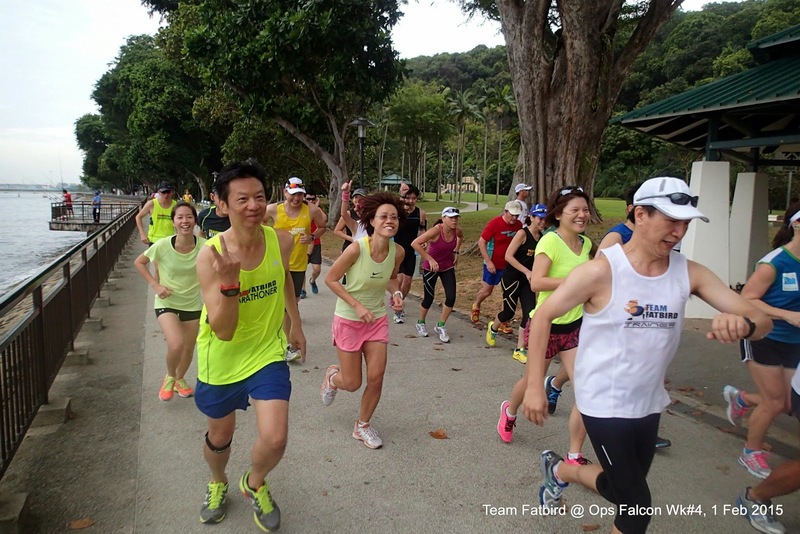 Streaks of perspiration could be seen on the Falcon’s satisfied faces as they completed their final sets while maintaining good form. All had reserves in their tanks as they were prepared for the 5-10km run at basebuild pace to follow. 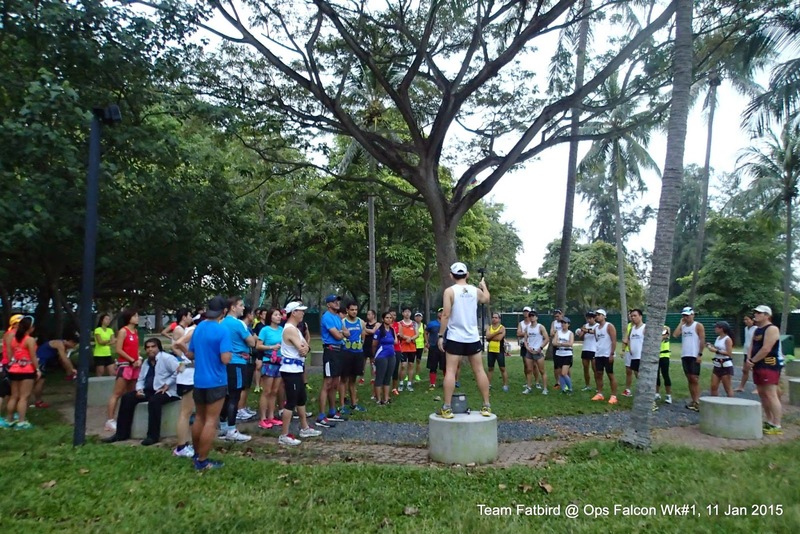 The Gatorade Tank was fully emptied with nary a drop left as all Falcons topped up their fuel belts before heading back for the post-interval run. 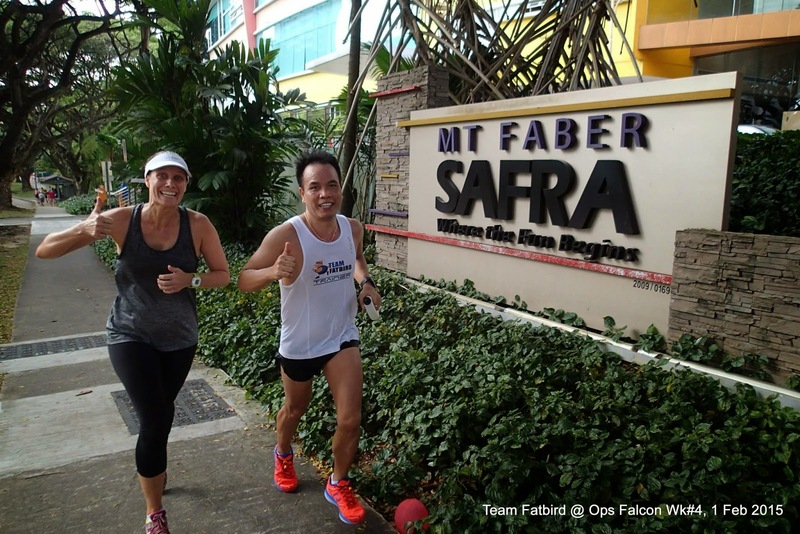 With tired legs, but still very strong minds, the Falcons did well to sustain basebuild paces all the way back to SAFRA MF Clubhouse to finish convincingly. Cool down stretches by Groups 1 & 2 trainers ensued, with eager trainees participating to stretch out those achy muscles to lessen any Delayed Onset Muscle Soreness (DOMS) the following day. 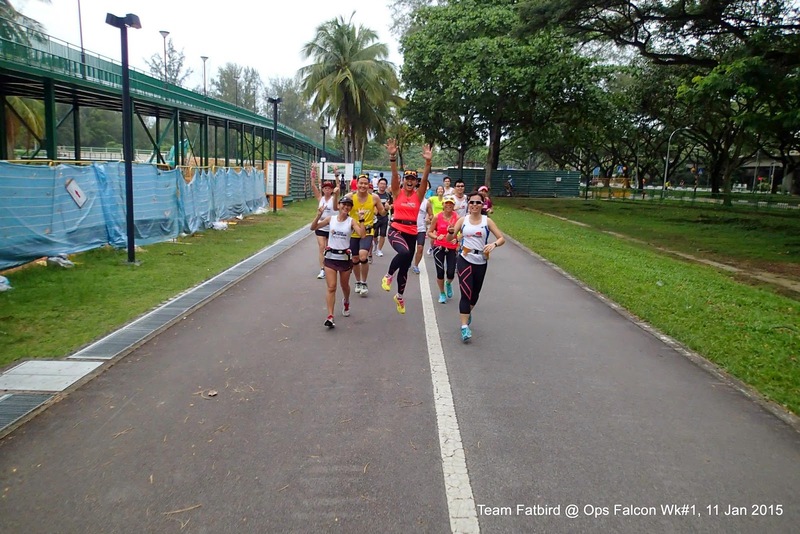 With the workout completed well ahead of the alloted time, there was a sense of achievement among trainers and trainees alike, serving to enhance the confidence levels to take up the challenges in the coming weeks before we enter into Pace Training at Marathon and Optimal paces. 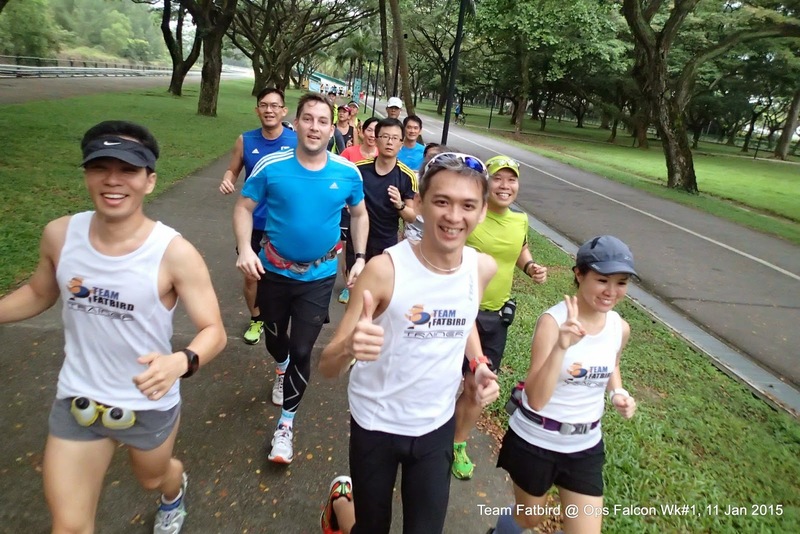 We look forward to week #5 with anticipation as we go back to Macritchie Reservoir for a LSD of trails and hills long run. 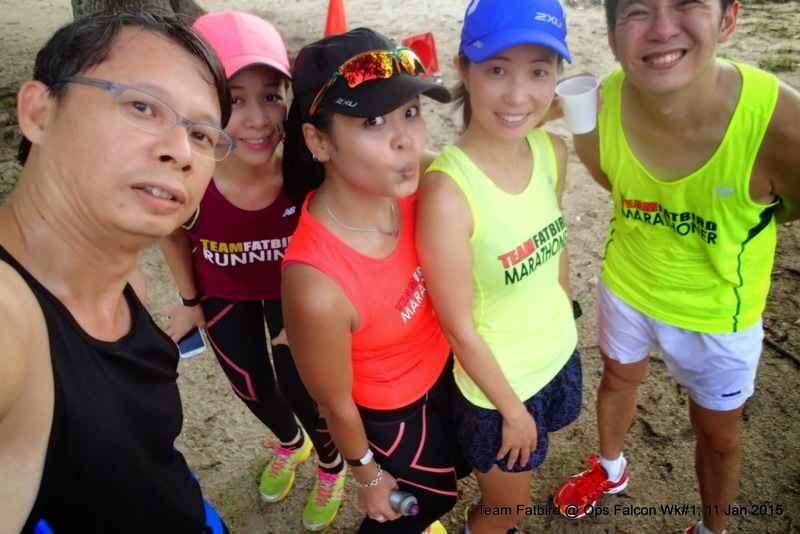 The Falcons will get stronger and more experienced in tackling some of these terrain and route challenges to be better prepared for the 2XU Compression Run at end March. The Falcons Loved Their Intervals Sandwich! 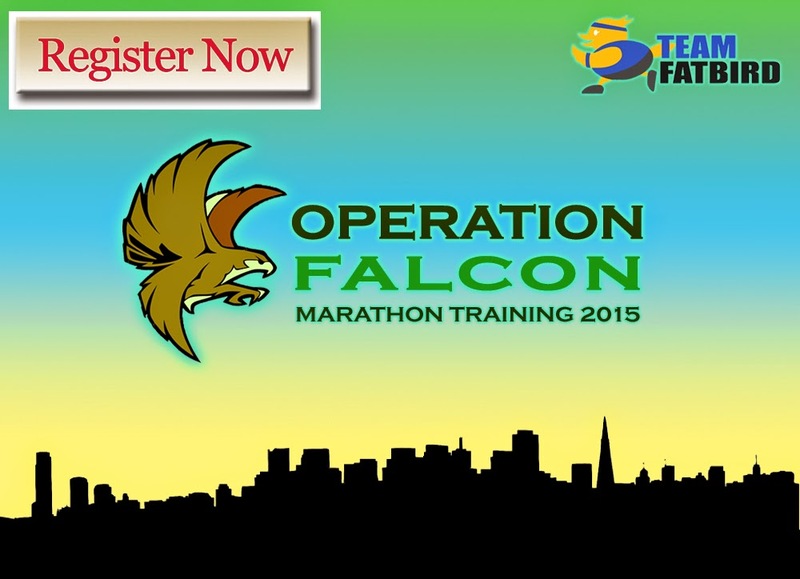 Register For Ops Falcon Training HERE! 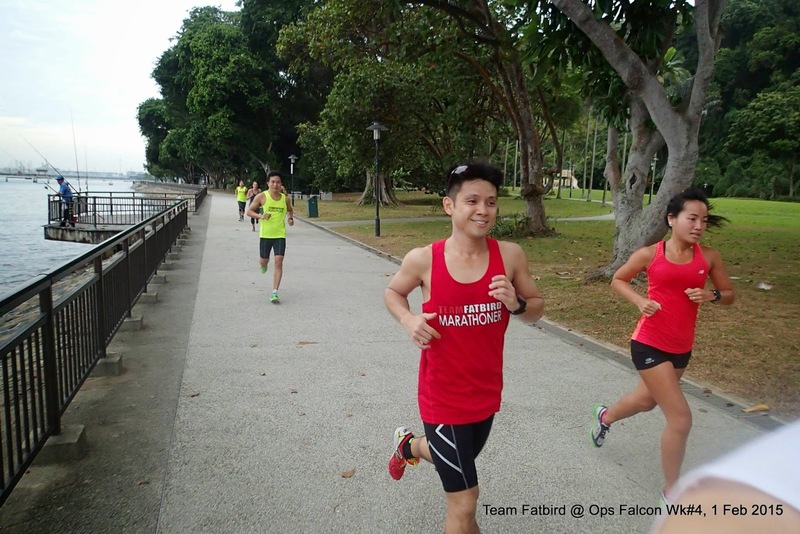 19 Jan 2015, Singapore – Popular running group, Team FatBird (www.teamfatbird.com), has taken a big step in promoting a healthy lifestyle by launching its own membership program for running and sports enthusiasts. For just $28 annually, the membership package entitles the member to discounts at more than 80 fitness and sports merchants such as Garmin, 2XU, Brooks, Tom Tom, Newton and many more. 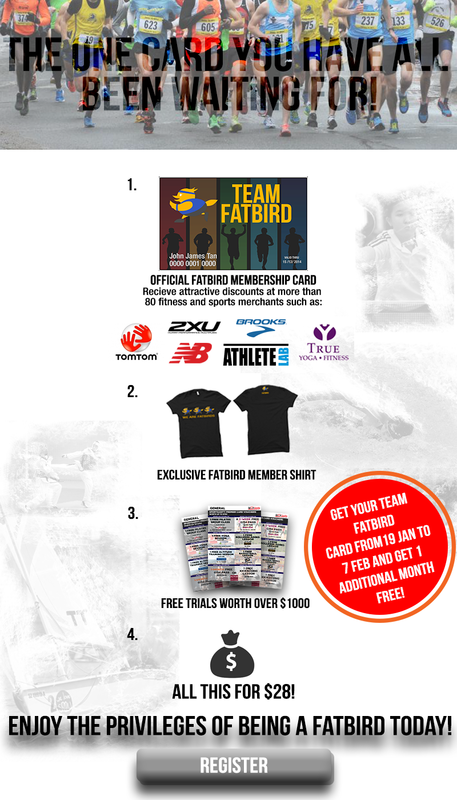 The member will also receive an official Team FatBird Membership Card, an exclusive Team FatBird T-­?Shirt as well as free trials worth over $1000 to fitness classes and gyms. 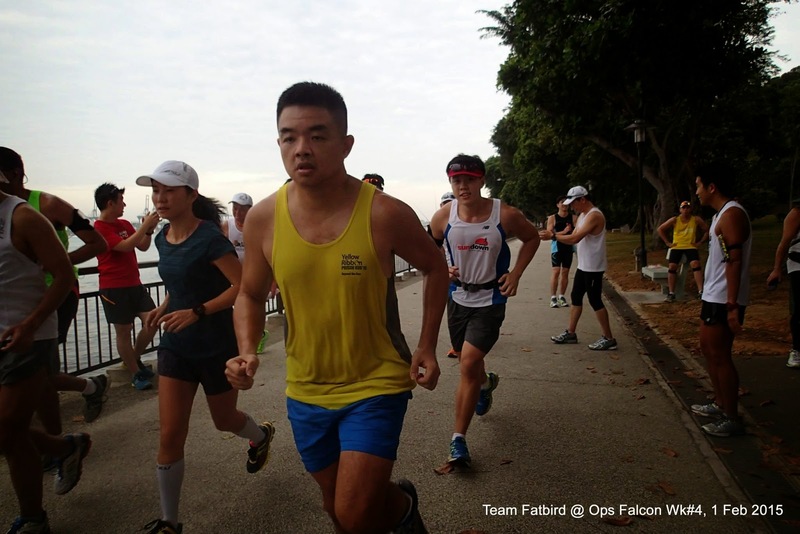 Said Anthony Sum, running chief from Team FatBird, “We started off as a group of highly passionate runners who wanted to reach out to the larger running community and encourage more to take up regular running as a way of maintaining a healthy lifestyle and managing weight and nutrition challenges of an increasing sedentary population. Sportsanity, a local Sports and Wellness Company established by World Champion Bowler and 2014 Sportswoman of the year Shayna Ng and former national bowler Kristel Oh, will manage the membership programme handling the operations, logistics, payment as well as managing the club’s various partners. 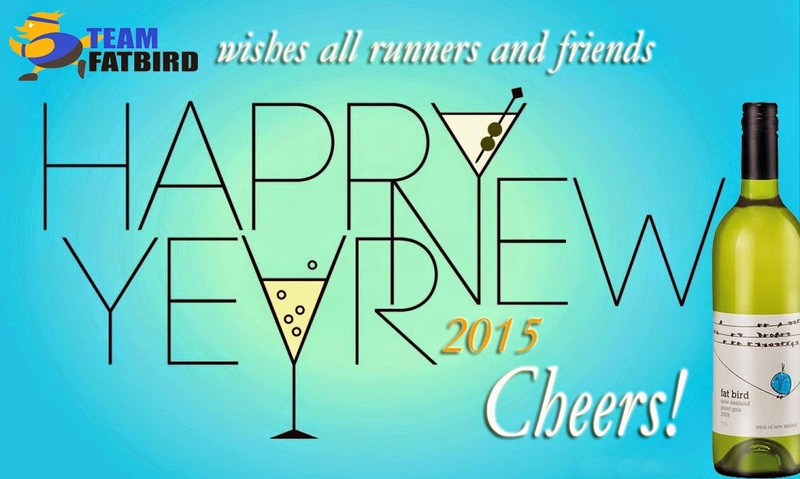 The membership will officially launch on Feb 9th but Team FatBird will do a prelaunch special from Jan 19th-­? Feb 7th and members who sign up during the period will get to enjoy an additional month free. 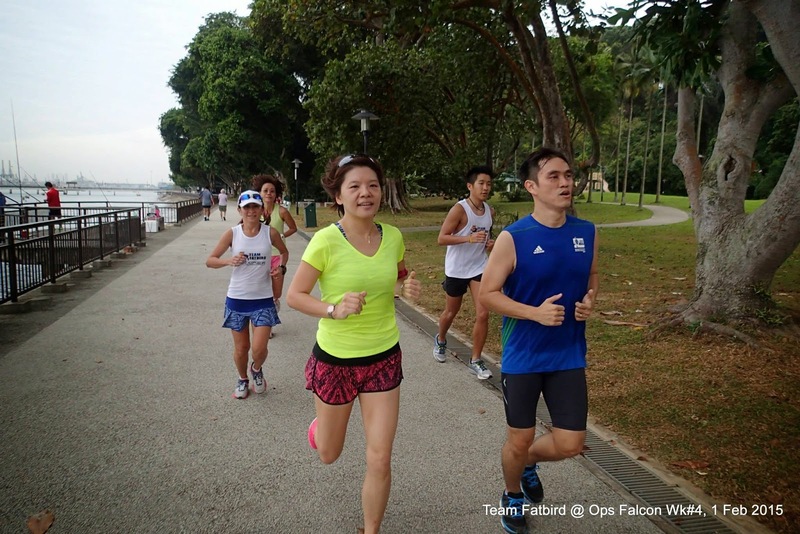 To enjoy the benefits of this high-­?value programme, sign up at www.ssmembership.com.sg/TeamFatbird. 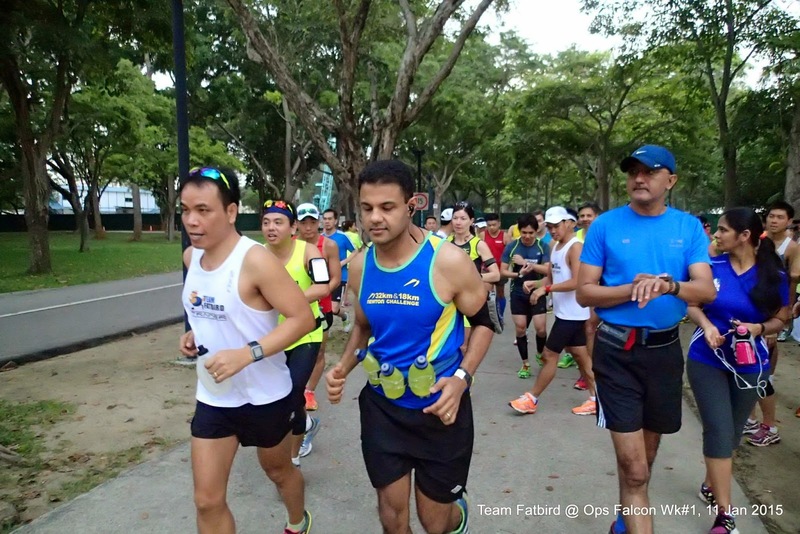 It was a great start for the 80+ registered participants at the second edition of Operation Falcon 2015, 12-week marathon training for the 2XU Compression Run. 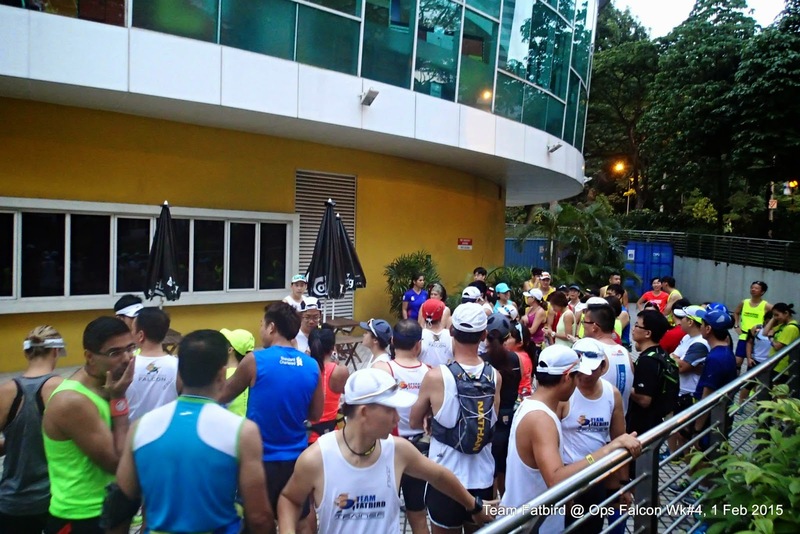 The weather was cool and windy as the early birds gathered at C4 ECP Shelter for registration as well as sizing of their eventual finisher race singlets. 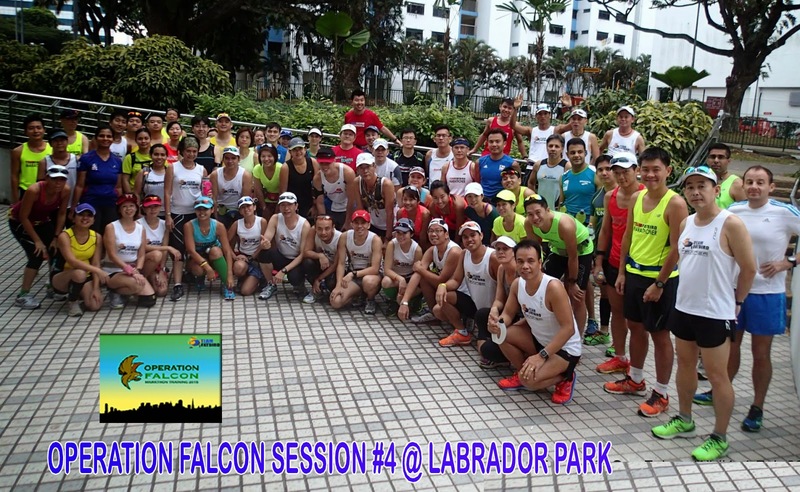 A warm welcome was extended to all Falcon participants with the usual training and route briefings before starting the run at 7:25am…of course not without taking the customary group photos. 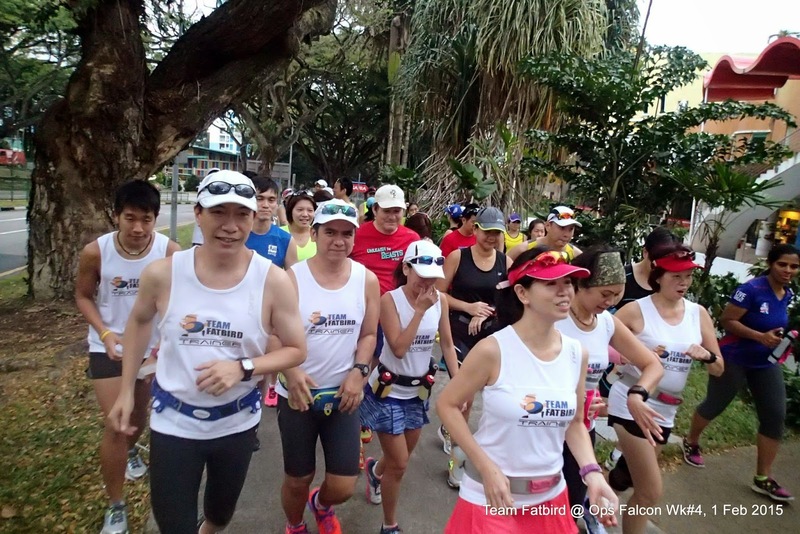 Although the 2XU Compression Run only offered up to Half Marathon categories, Ops Falcon has also included the Full Marathon training program to cater to those who are doing overseas marathons like the Taiwan and Saga Sakura Marathon. 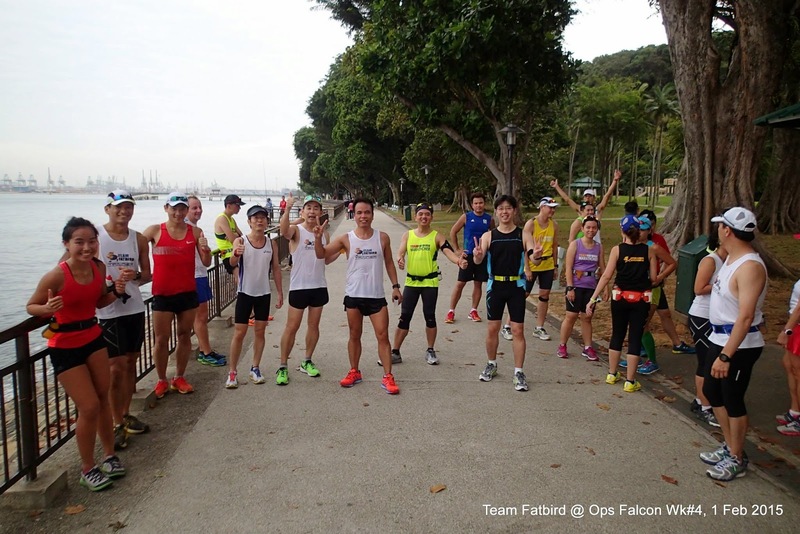 A good portion of 40% first-time FatBird trainees mingled well with the rest of the ‘sesoned’ FatBird trainees, under the watchful eye and friendly encouragement of the ever dependable Team FatBird Training Crew. 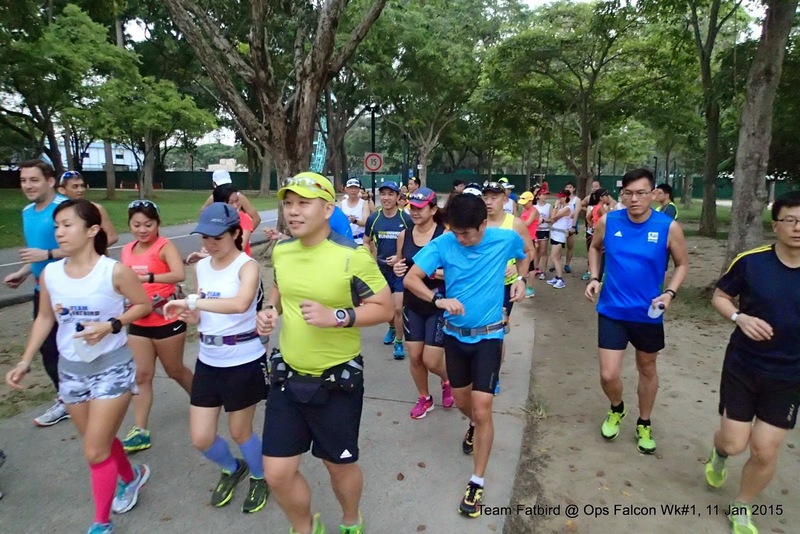 This being the kick off training, the HM and FM participants completed a no-frills 13.5km and 21km at BaseBuild pace respectively, allowing for the newer runners as well as others who have taken a short break from exercise to consolidate a good base before moving on to speedier paces. 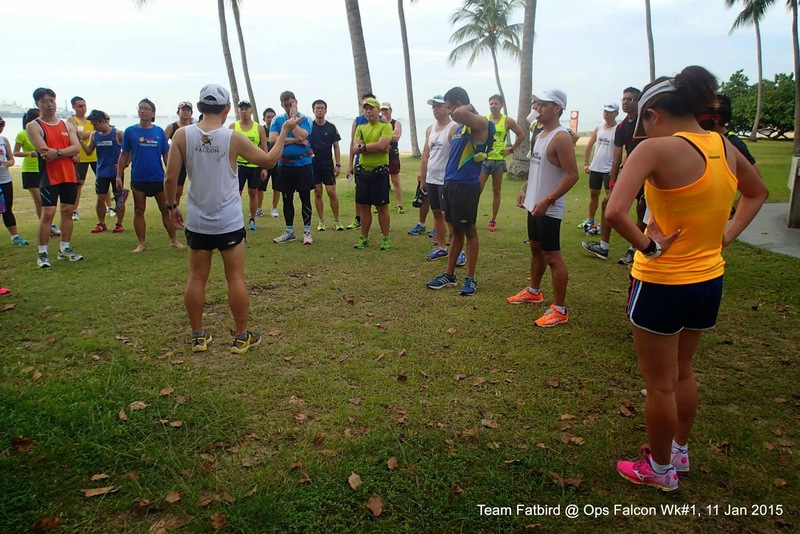 There were good chit-chats and words of advice from the Falcon trainers with the trainees, allowing for healthy engagement and interaction which will set the tone for a smooth and enjoyable 12 weeks of training ahead. The newer trainees adapted to the pace and conduct of the training rather well, with very little hiccups along the way. 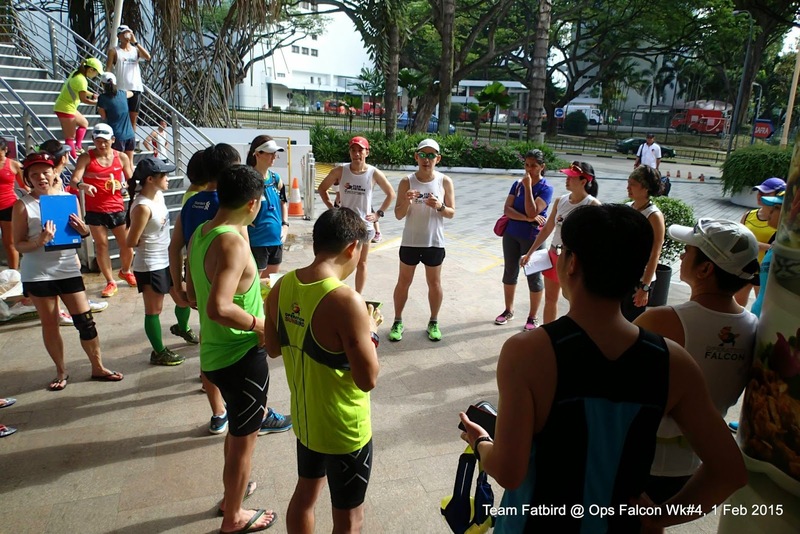 All the HM categories completed their runs by 10am and were given a debrief by the Falcon Trainers explaining the concepts of Team FatBird’s FlightZONES and PowerFLIGHT training systems, as well as set expectations for the remaining weeks of training. 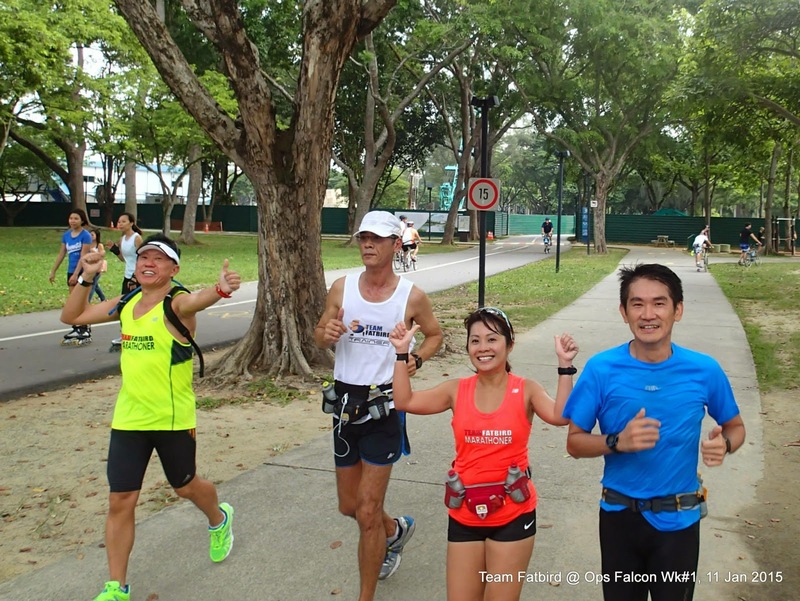 The FM participants completed their runs by 10:30am to rousing cheers and applause by fellow trainees in strong form, partly attributing to the immaculate weather this morning. 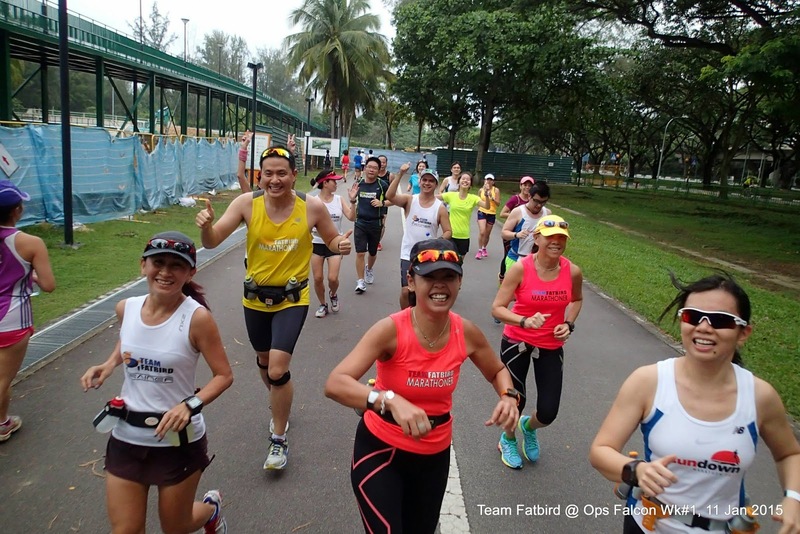 There were quite a number of satisfied faces especially among the newer participants who are starting to appreciate the kind of structured training Team FatBird offers. 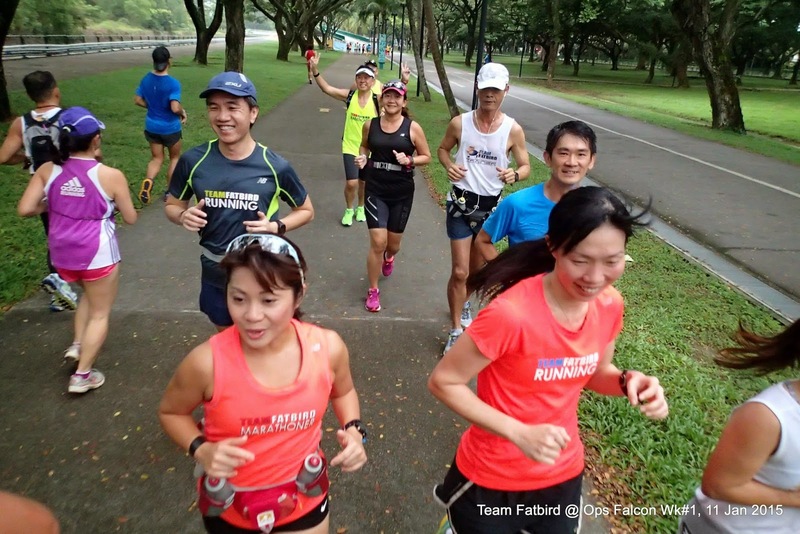 After the honeymoon start of the first session, the Falcons will move on to bigger challenges from week #2, starting with some high intensity tempo intervals sandwiched by 2 trail portions at next weekend. It will be something interesting and we are sure many will be looking forward to have yet another great workout. 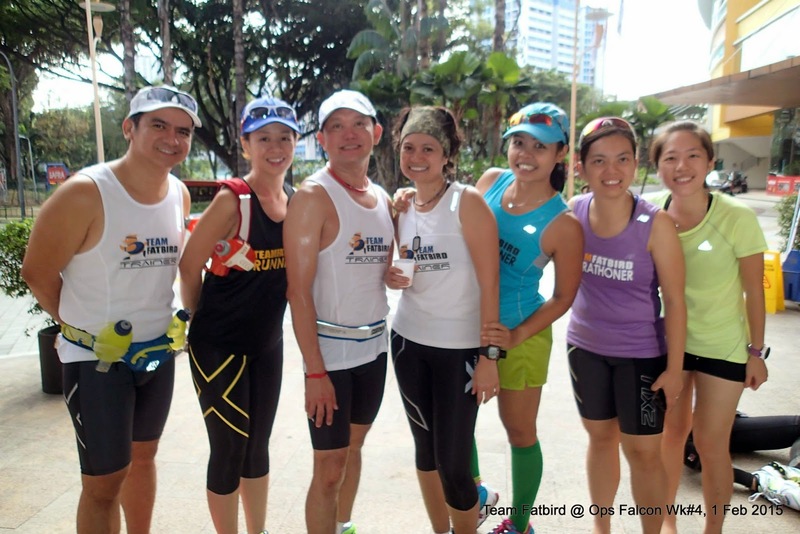 For the many runners who have signed up for 2XU Compression Run, Run350 and other Marathon races in Q1 2015, you are invited to start training with the Falcons to achieve your race targets and New Year resolutions set just a week or so ago. 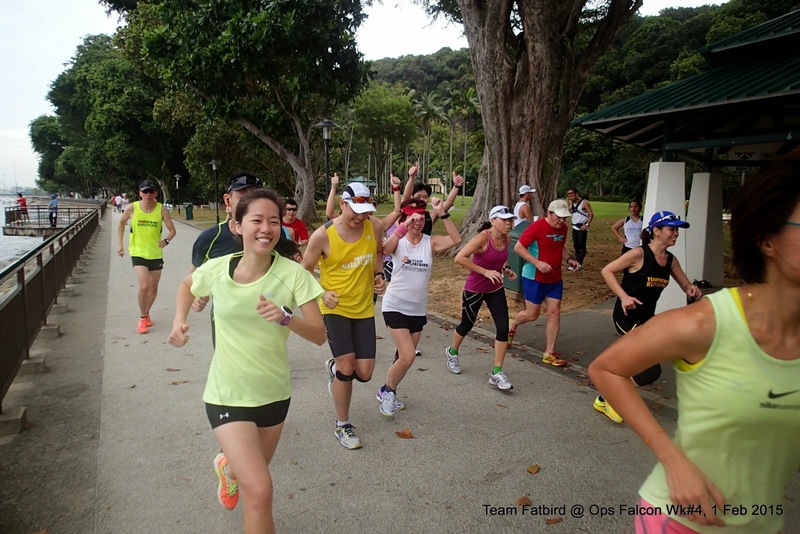 You can sign up for limited slots of this high-value 12-week marathon training program HERE, and start enjoying the benefits of structured training and steam ahead in the New Year! 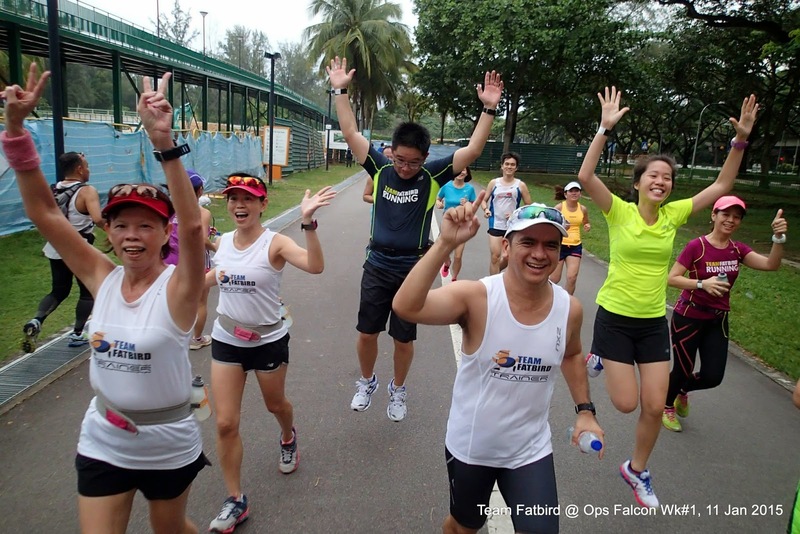 The Falcons Soared To A Cool Start! 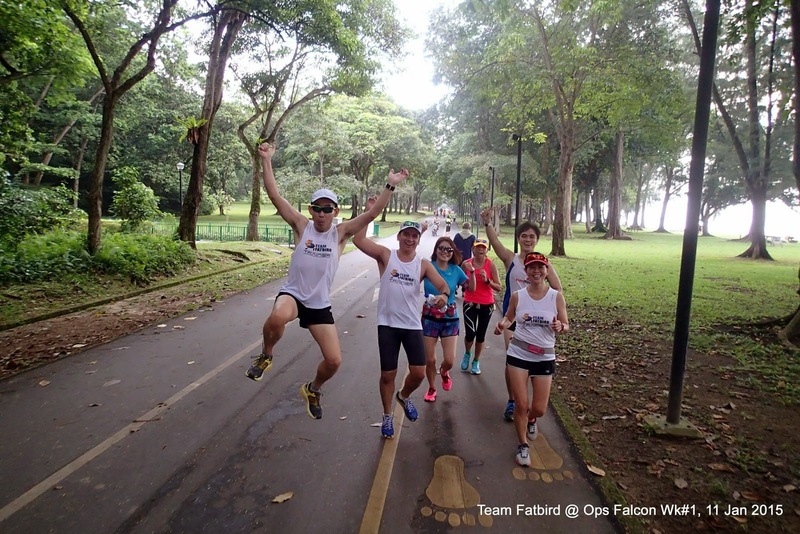 Operation Falcon 2015: REGISTRATION OPENS! 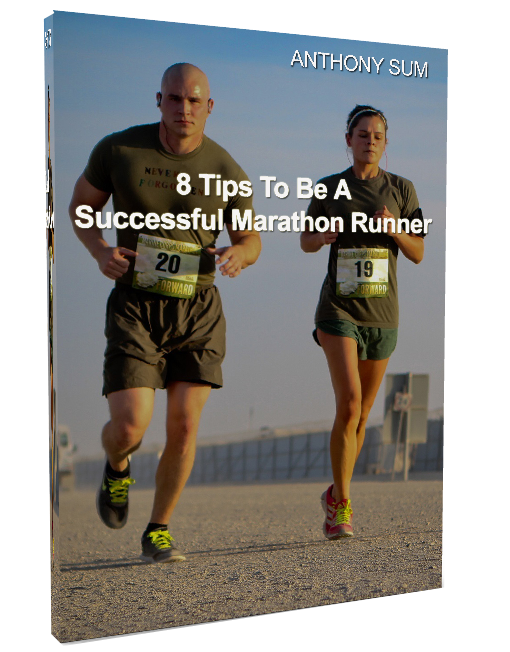 Are you looking for a tried and tested marathon training program to help to meet your targets for optimal success at your 2015 races? 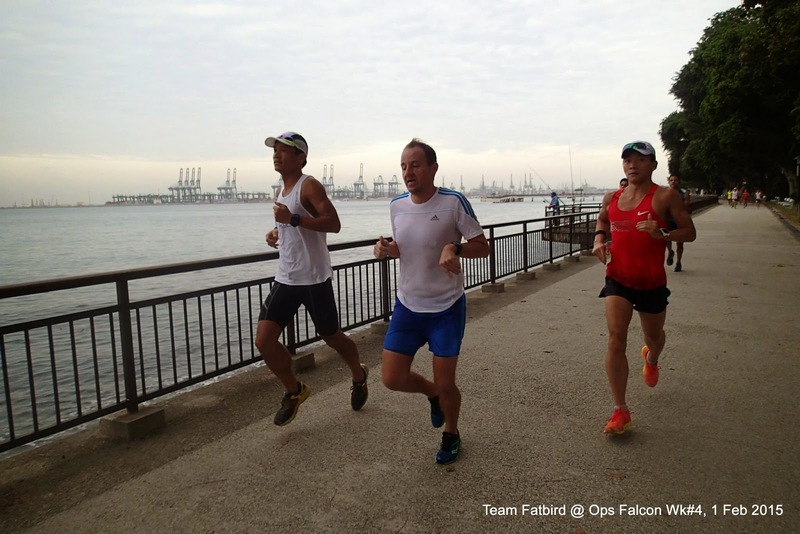 Team FatBird is happy to launch Operation Falcon 2015 – our tried and tested 12-week FlightZONESTM and POWERFlightTM structured training program to support your marathon training preparations for the 2XU Compression Marathon and other international marathons in 1Q 2015. 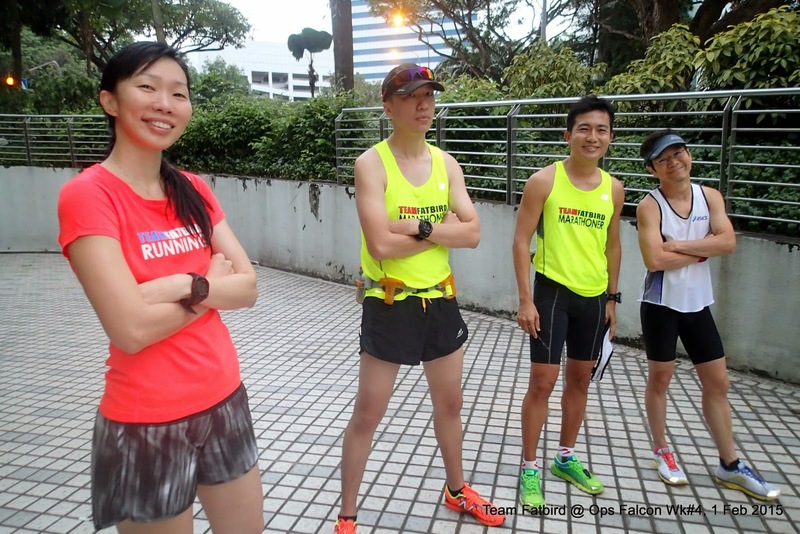 Training Starts 11 January 2015!